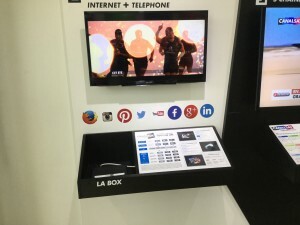 Some days ago, my friend and co-blogger Ish, has posted an article comparing Airbox by Emtel and Canalbox by Canalplus price tags and features. It was analysed that there is absolutely no competition between the two parties with Canalbox being offered at on 34 MUR cheaper. I would recommend you to check out his blog post. Even after a short discussion about it on the MIU none of us could determine the reason why. Somebody on facebook even commented that maybe they are all teaming up against MyT by Orange. Well, maybe! 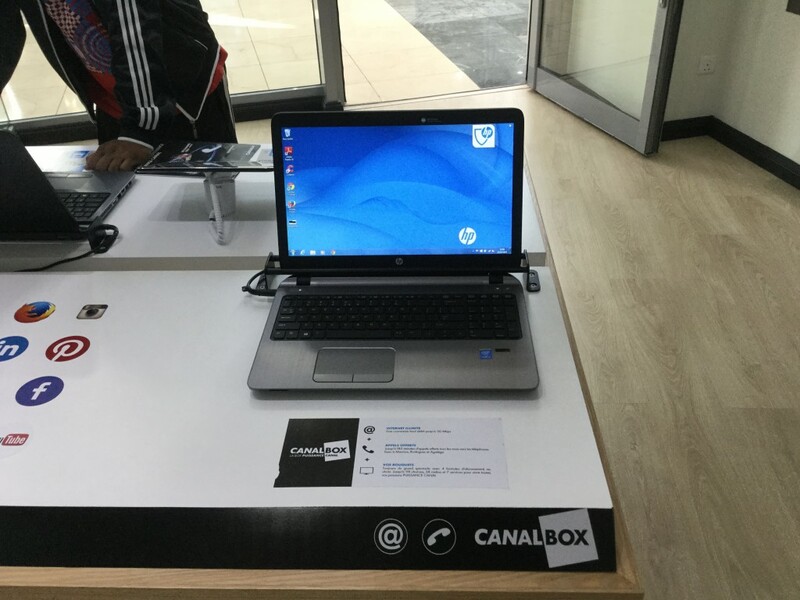 Fortunately, I went to Bagatelle Mall last Saturday and went by Canalplus showroom to learn more about the new ISPs’ competitor. When I went in, a sales representative was engaged discussing features of Canalbox with a guy whom I think was pretty much convinced since he proceeded with the formalities. From their conversation I could eavesdrop that Canalbox delivers Internet and T.V channels using separate methods. Internet access be it 10 Mbps or 30 Mbps is delivered through local stations while T.V channels (which come bundled with the Canalbox package) are delivered the usual way; the satellites. She said that there are still work in process concerning the technology that would enable delivering the two services altogether through the means of satellites. They are on it she assured. 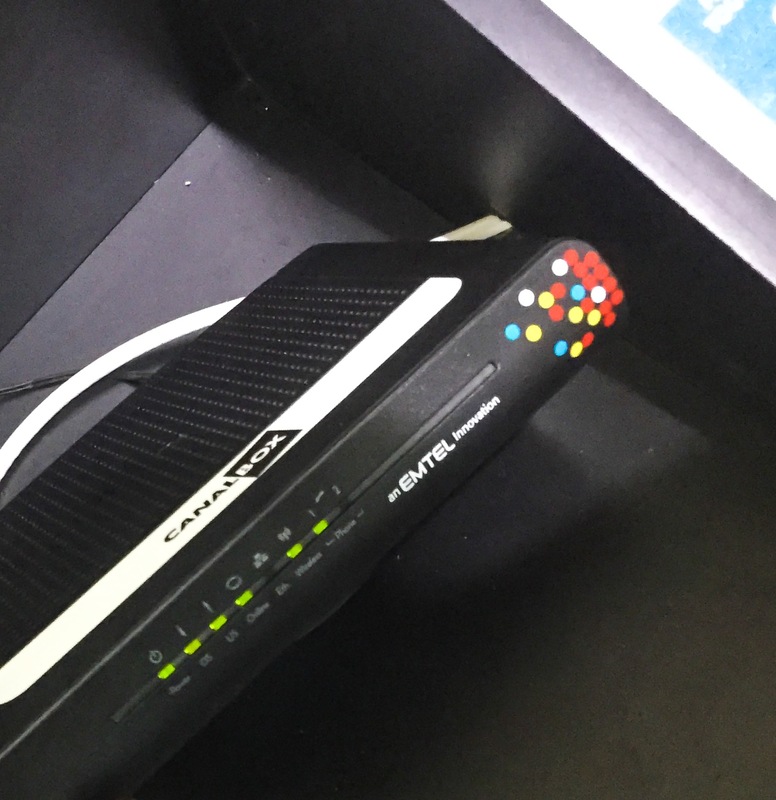 While she was talking, my eyes rolled around the room and the black-rectangular Canalbox router/modem caught my attention. I moved in haze toward it as I read what is written on the device; “an Emtel Innovation”. I couldn’t stand quiet anymore, my hand timidly raised. I told the lady what I just read then asked if whether they are using the same Fiber Through The Air Technology as Emtel’s Airbox. She said yes, it’s the same technology and that in fact Canalbox is Airbox packed differently. Then I asked about the price, arguing that it is pretty much the same; only Rs 34 rupees cheaper. 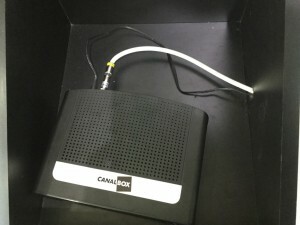 She replied saying that Canalbox is bundled with the “Access” package thus, it will not only benefit existing customers but also new ones on a long-term basis considering they the fact they get two service in one package. While they all turned aside, I took the opportunity to use one of the laptops available in the showroom to perform some latency test. 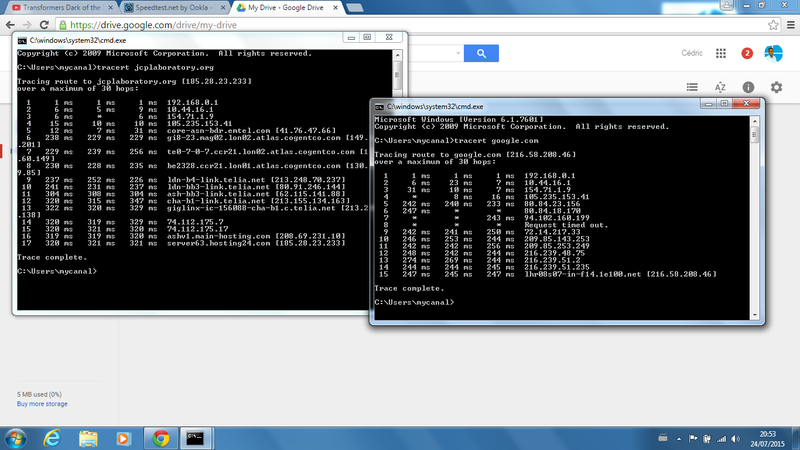 I even dared to make a snapshot and upload it to my cloud. So now that some lights are shed. It’s up to you to decide whose subscriber you want to be depending on the services you find suit you the most.